There is nothing better than the days when I just sit on my couch, read a good book and sip my cup of tea. I am a selective reader. I love reading fiction and especially by Asian authors. I love the cultural richness that Asia is blessed with. I love how it translates into novels and stories set in Asia, giving them a richness and warmth that makes them a delight to read. A fiction set in Afghanistan during the Russian invasion and Taliban occupation, written by Khaled Hossieni. A story that explores the themes of friendship, loyalty, courage and goodness and the lack thereof. Khaled Hosseini has written three books but I still cannot get over Kite Runner – his debut master piece. It is full of powerful and thought provoking dialogues and lines, characters that you get attached to and an introduction to once beautiful pre war Kabul that will change your perception of Afghans forever. For me and many others, Kite Runner humanized Afghanistan. While political happenings serve as the backdrop of the story, focus is on the tale of two friends and on the quest to be good again. It is a story of an Afghani boy, Amir, who is haunted by a day in his past – the day he betrayed his friend Hassan, whose loyalty was unquestionable. The story revolves around Amir’s redemption which is inspiring and catastrophic at the same time. There is some graphic content too. It is a strange feeling where you loathe the protagonist, but still, you don't want the book to ever end. I have lost count of how many times I have read this book but I know that I have never been able to skip even a page. I have literally wept with tears while reading this beautiful novel and I still know that in chapter 17, on page 215 of my copy, I will cry again even though I have read Hassan’s letter so many times. I think if you have never read an Asian author, pick up 'Kite Runner' and you will be hungry for more. The title sounds quite cheesy until you start reading it. A philosophical novel based on the love that incarnates when mysticism meets intelligence, emotions meet reason, spiritualism meets materialism, divine meets mundane, censure meets compassion - when Shams of Tabriz meets Jalal uddin Rumi. Turkish author, Elif Shafak, picks up two famous characters from Islamic history and weaves a lyrical story of what happens when a mystic sufi meets a theological poet. There are two parallel narratives one contemporary and one set in 13th century. 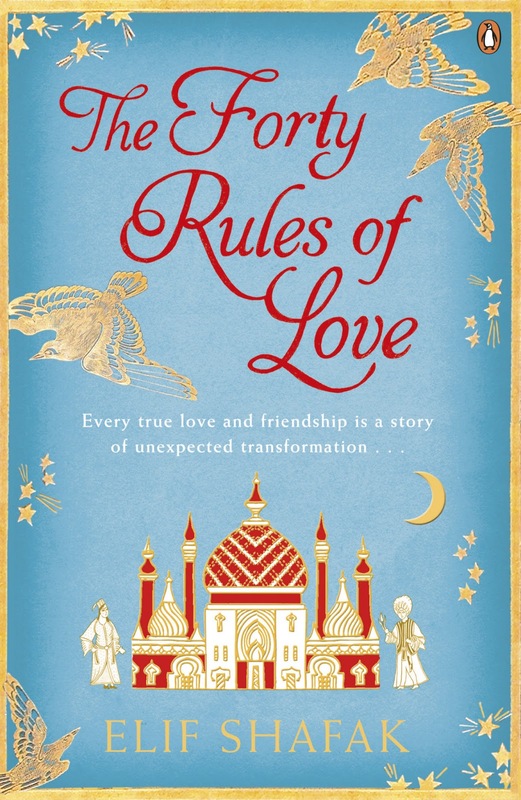 Though the contemporary narrative might not be my favourite but the relationship between Shams and Rumi that results in making Rumi a timeless poet of love, is a winner. The forty rules of love that are narrated by Shams from time during different encounters are for contemplation and you will keep returning to them even after you are done with the book. It is a great, precise and to the point introduction to Sufisim. If you don’t know anything about Islam or Sufisim, you will still love this book equally. 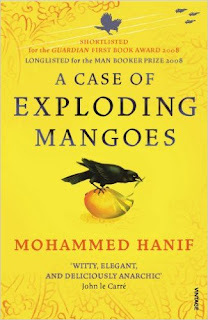 If you want to see how beautifully and skillfully an author can spread a complex web of plots and sub plots and converge them in a jaw dropping way, you must read ‘A Case of Exploding Mangoes’. A political satire written by Pakistani author, Mohammed Hanif, about the mystery that resolves around the fatal plane crash of the one of the longest serving dictator of Pakistan, General Zia. A little background reading of Zia and Pakistani politics in 80s will make you love every bit of the book (if you don’t know about Zia). But if you treat them as fictious characters, you really need to have the love for dark sarcastic humor to understand Hanif’s debut comic novel. The book is packed with dark and witty humour. All the sub plots strangely conclude on Zia's death but the stew of conspiracies that Hanif cooks is so engrossing that when it ends and you put the book down, you feel out of place for a long time. He has taken some real characters and incidents and turned these events into a comedy with his dark sense of humour and sarcasm. Though, it is a comic novel yet some passages and the truth in them is haunting. Here is one such excerpt that gives me chills. “Two things that weren’t even on the agenda survived every upheaval that followed. General Akhtar remained a general until the time he died, and all God’s names were slowly deleted from the national memory as if a wind had swept the land and blown them away. Innocuous, intimate names: Persian Khuda which had always been handy for ghazal poets as it rhymed with most of the operative verbs; Rab, which poor people invoked in their hour of distress; Maula, which Sufis shouted in their hashish sessions. Allah had given Himself ninety-nine names. His people had improvised many more. But all these names slowly started to disappear: from official stationery, from Friday sermons, from newspaper editorials, from mothers’ prayers, from greeting cards, from official memos, from the lips of television quiz-show hosts, from children’s storybooks, from lovers’ songs, from court orders, from telephone operators’ greetings, from habeas corpus applications, from inter-school debating competitions, from road inauguration speeches, from memorial services, from cricket players’ curses; even from beggars’ begging pleas. In the name of God, God was exiled from the land...'"
Would love to know if you have read any of these and what is your opinion about my three ultimate favourite books! Kite Runner an all time and every time favorite. You just can't get enough of it and you read it again to be reminded of the dialogues you have read a hundred times...just to feel the pain all over again. Kite Runner is an all time and every time favorite. You just can't get enough of it and you read it again to be reminded of the dialogues you have read a hundred times already ..just to feel the pain all over again. 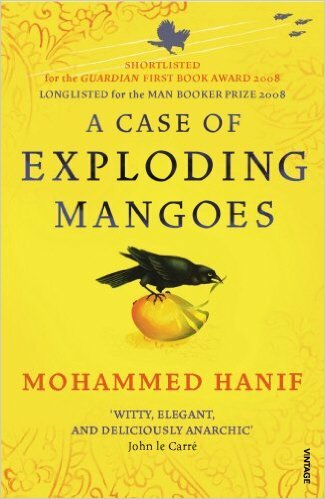 The only one I haven't read out of the three is A Case of Exploding Mangoes. Love love love both Kite Runner and Forty Rules of Love. Now I have to start on the third! Dark and heavy... But an excellent read! Some great reads here, especially Kite Runner! Love that one. I wrote out a comment, but then thought I saw an error message right as I clicked out of the browser after posting so I thought I'd retype. I started to read The Kite Runner years ago but a good family friend died while I was reading it. Every time I've tried to continue it since it just brings back all those memories so I haven't been able to finish it, but I've heard very similar reviews as yours and it sounds fantastic. The other two sound really good too. I think I've heard of A Case of Exploding Mangoes before. I'll have to check it out. Thanks! 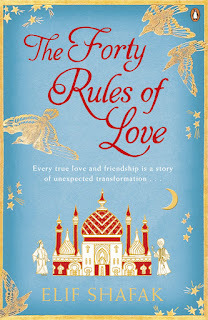 @Crystal... Start with Forty Rules of love. It will comfort you. It is a brilliant book! 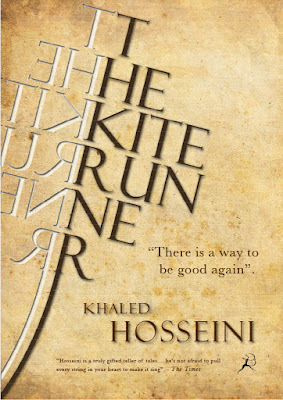 I have been wanting to read The Kite Runner for a while now and have never gotten around to it. I am so glad to hear that you like it. I will need to move it up on my list. Yes! Move it up... It is a profound book.